The NBA Finals started off slow, but ended very strong. The championship-clinching Game 5 for the Golden State Warriors over the Cleveland Cavaliers resulted in a 16.0 overnight rating. That’s the highest-rated NBA Finals Game 5 dating back to 1998. As the game was ending, the rating peaked with an 18.8 rating. The rating led ABC to a primetime win across all broadcast outlets and is expected when the final numbers are settled to be the number one show in all of television on Monday. 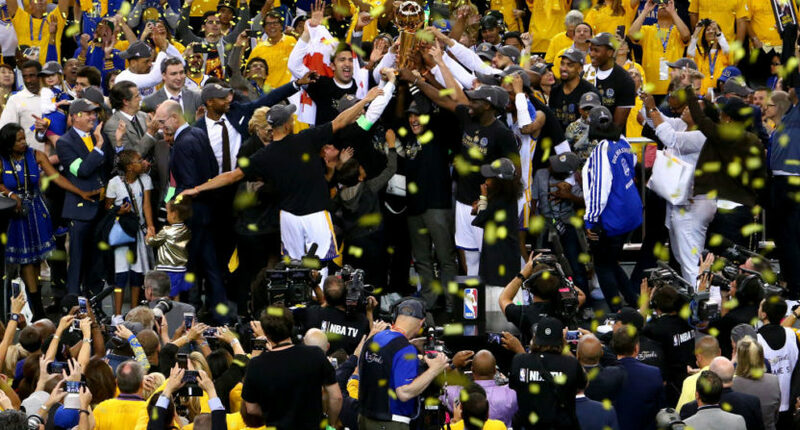 And it will be the 60th consecutive time that the NBA Finals will win primetime across cable and broadcast. Last night’s overnight rating was up 13% from both 2015 and 2016 which both had the Cavs and Warriors. In addition, the streaming audience for Game 5 was the highest for the NBA Finals dating back to last year’s Game 7. ESPN says the game had an average minute streaming audience of 537,000 viewers with over 2.1 million unique viewers. So the 2017 NBA Finals which began with Game 1’s overnights performing lower than the previous two Finals openers, it ended up with higher numbers despite blowouts early on.